This song shows the reputed grindcore band straying from that genre into pure, groove-laden brutality. “Army Of Cops” follows along musical lines Pig Destroyer started in 2012’s Book Burner album. Tunes off of that album like “The Diplomat” and “Valley Of Geysers” de-emphasized the Virginia band’s traditional grindcore sound for mighty riffs and a more deliberate tempo that almost seems as if it was designed to induce headbanging and moshing. “Army Of Cops” adds a pleasant surprise in the form of groove awareness and, if the above video is to be believed, some ambient noise samples à la Neurosis. Twelve songs is a short track listing by Pig Destroyer’s standards. Book Burner had 19 songs and their prior, more purely grindcore albums ranged from 15 to well over 20 in song count. This suggests “Army Of Cops” will be very representative of the tenor for the rest of Head Cage. Follow Pig Destroyer on Facebook, Instagram, and Bandcamp. 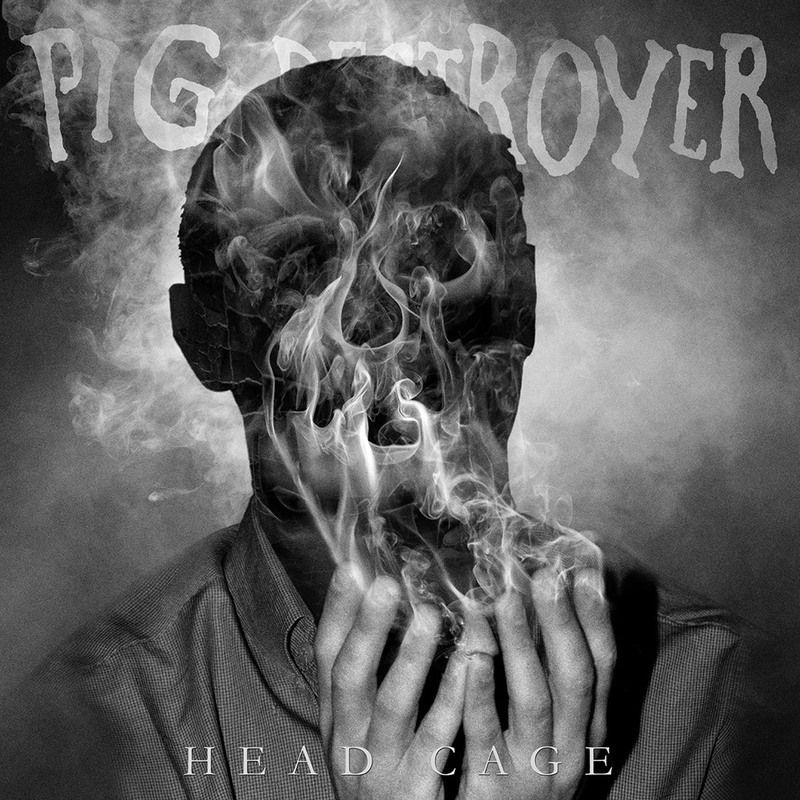 Physical and digital pre-orders of Head Cage are already available. Next PostPlini Reveals More Details Of Upcoming EP "Sunhead"